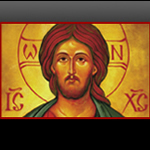 This page contains audio from the 20th Anniversary conference on Missions and Evangelism sponsored by the Missions and Evangelism Department of the Antiochian Archdiocese. It took place on Labor Day weekend 2008 at UC Santa Barbara. Monday morning began with a Bible study with Fr. Jon Braun exploring the use of the word "saved" in the New Testament. Sunday evening continued with this talk by Fr. Peter Gillquist. Then, Howard Lange announced the results of the fund raising appeal for Ancient Faith Radio and gives information about how you can match the $3,350 that was given. Sunday evening began with Howard Lange inviting three attendees to share what the conference has meant to them and an introduction of the mission project for the 20th annual conference. That project is none other than Ancient Faith Radio! Listen to the end of the next talk by Fr. Peter Gillquist to hear the results of the fund raiser and some information about how YOU can participate! Fr. Dan Suciu gave this talk on Sunday afternoon following Divine Liturgy and lunch. Where (and who) is Our Mission Field?